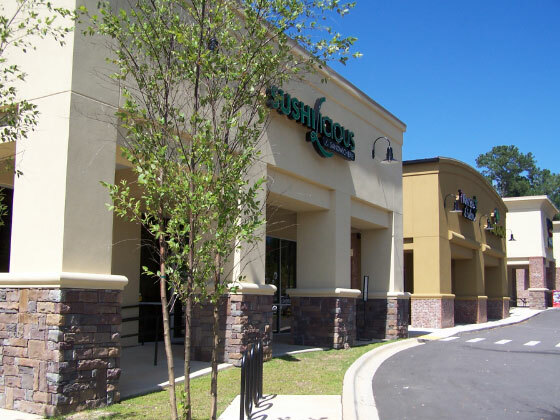 The Bradfordville Commons project was the design of a two-phase commercial center located on an 4.8 acre parcel on the west side of Thomasville Road, in Killearn Lakes Plantation subdivision. 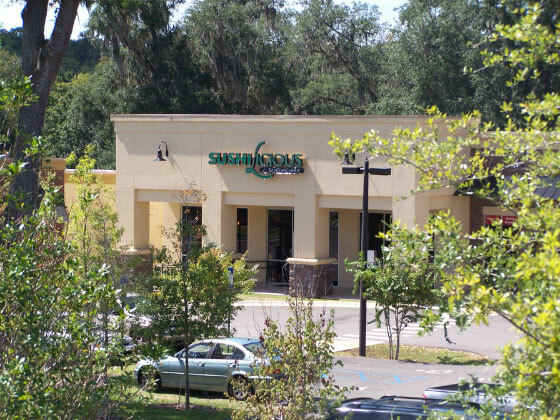 Paradigm Engineers and Consultants contracted with Trademark Development and Construction for the site that contains 38,688 sf of retail which includes restaurant, clothing, package store, and United States Post Office along with appurtenant parking facilities, utilities and stormwater management. The project has two stormwater facilities, each serving a project phase. 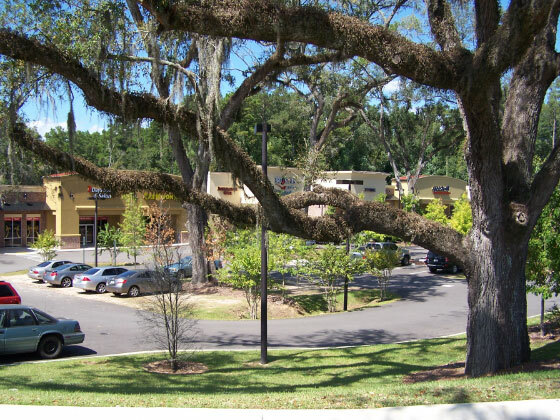 Phase 1 of Bradfordville Commons consisted of redesigning the associated infrastructure around the two existing buildings. The redesign of the infrastructure involved upgrading the access from Kinhega Road from a single point to two individual ingress and egress, which enhanced traffic flow and safety. Also, the parking lot was redesigned to increase efficiency and traffic flow from the surrounding streets to Bradfordville Commons. 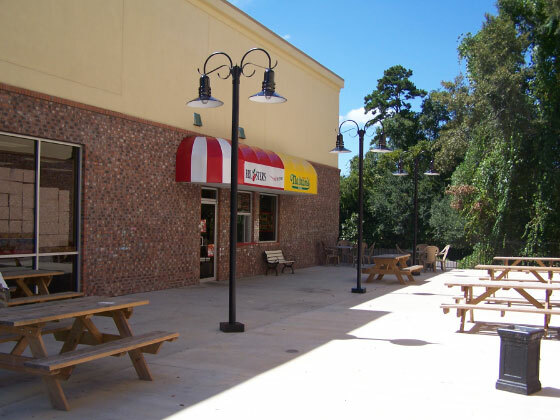 A concrete patio area was created in between the two buildings which serve as additional dining area for the restaurants. 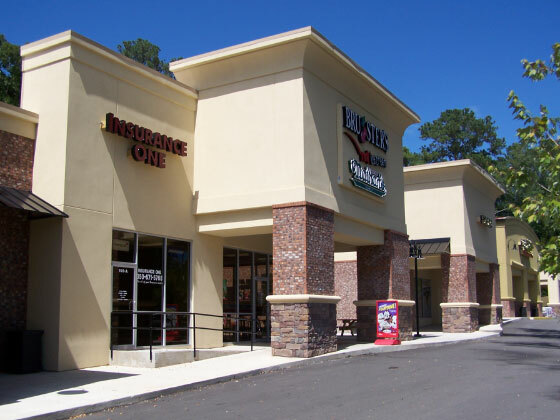 Phase 2 of Bradfordville Commons consisted of building two 11,137 sf buildings which join the Phase 1 buildings. The parking lot was designed to be environmentally friendly by using grass parking and not removing any significant trees. An access point was added from Rhea Road into the project site to increase traffic flow. Also, an underground stormwater vault was constructed under the asphalt parking lot to maximize the developable area. Paradigm Engineers and Consultants permitted with the Northwest Florida Water Management District, Florida Department of Environmental Protection, Florida Department of Transportation and the Leon County Growth Management Department.